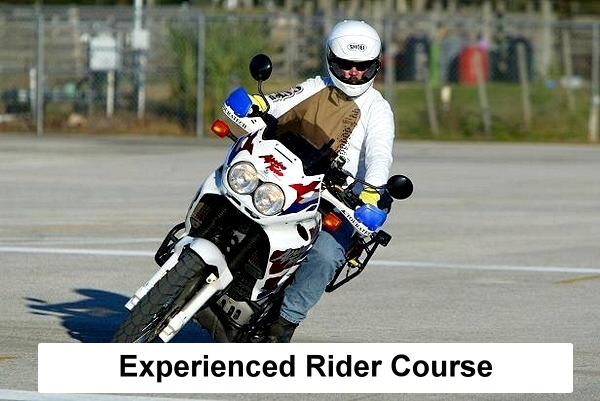 Choose from one of our two types of motorcycle safety courses. Small class sizes so you get individual attention for the most effective training. 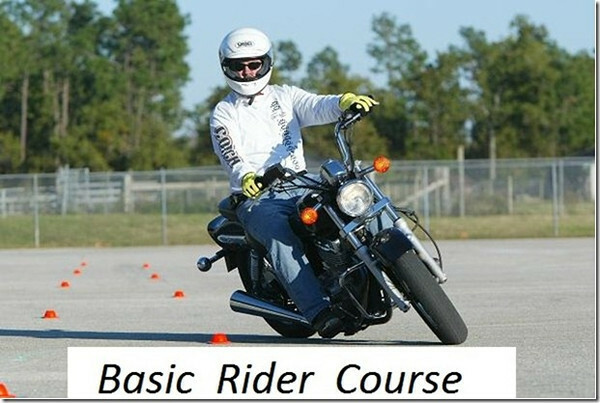 Learn from experienced ridercoaches on our motorcycles, which are low to the ground, lightweight, and easy to maneuver. Learning to operate a motorcycle will give you the confidence you need. Designed for beginner or intermediate riders. You do not need your motorcycle temps for this course. Range exercises will be ridden in a controlled environment to provide a safe place to learn how to operate a motorcycle. Motorcycles, helmets, eye protection, and full-fingered gloves are provided to student. Receive DMV Road Test Waiver to obtain your license (class M endorsement) upon successful completion. For more information on licensure, click here. Designed for “experienced” riders who already possess riding skills and are either returning to riding or seeking a refresher course to practice and renew riding skills. For your convenience, we offer BRC1 classes every weekend from April through October. There are only six BRC2 courses offered starting in May and ending in October. You will receive a WISDOT motorcycle license waiver to obtain your class M endorsement. An MSF completion card will be issued to you for insurance discounts. 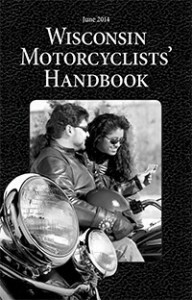 You will enjoy learning and feel more confident operating your motorcycle. Basic e-Course or Street Strategies e-Course – Important! 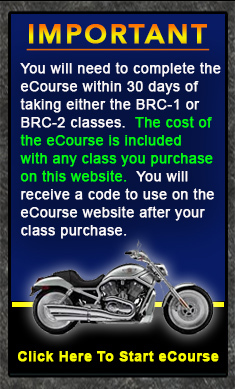 Please complete MSF’s online Basic e-Course within 30 days of taking the BRC1 class. Please complete MSF’s online Street Strategies e-Course within 30 days of taking the BRC2 course. The cost of the online e-Course is included in our prices of $250 and $160. Upon signing-up for one of our classes, you will receive a separate e-mail with a coupon code for you to enter into the lower right-hand corner of the registration page for MSF’s Basic online e-Course. Students must bring their Basic e-Course or Street Strategies completion certificate to class. We accept the following methods of payment for all motorcycle classes: cash, check, money order, and debit or credit card. Please E-mail or Call if you have any questions. We are Happy to help.